Aritha is an international finance lawyer, head of legal for Sri Lanka's National Agency for Public Private Partnerships and is a director of iProbono's Justice Programme. Formerly he was a lawyer at international firms Clifford Chance and K&L Gates in London. Probono is a global tech platform that helps connect people and organisations that need legal help but cannot afford it, with over 60,000 lawyers across 39 countries that help for free. iProbono has received numerous awards, including the Financial Times award for Innovative Lawyers and the British Prime Minister's Big Society Award. Since moving back to Sri Lanka in December 2016, Aritha has advised the Sri Lankan Government on financial, economic and education policy reform. In March 2017, Aritha was appointed to advise on the legal aspects on creating an international financial centre at the USD 20 billion Port City project in Sri Lanka. In December 2017 he was appointed as head of legal at the Ministry of Finance's National Agency for Public Private Partnerships. Aritha continues to be a strong advocate for legal reform to strengthen the rights of women, children and the LGBT community. For his work, Aritha was ranked No.1 Future Business Leader by the Financial Times in their 2015 OUTstanding List. 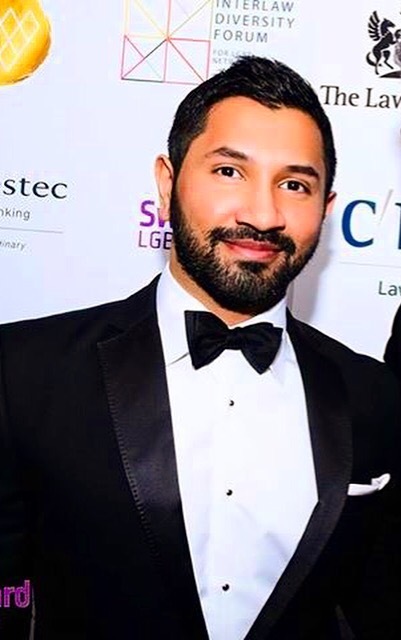 In 2017, UK’s Attitude Magazine ranked Aritha as the 15th most eligible bachelor in the world, ahead of notable Grammy award winners Adam Lambert, Sam Smith and Prison Break star Wentworth Miller.